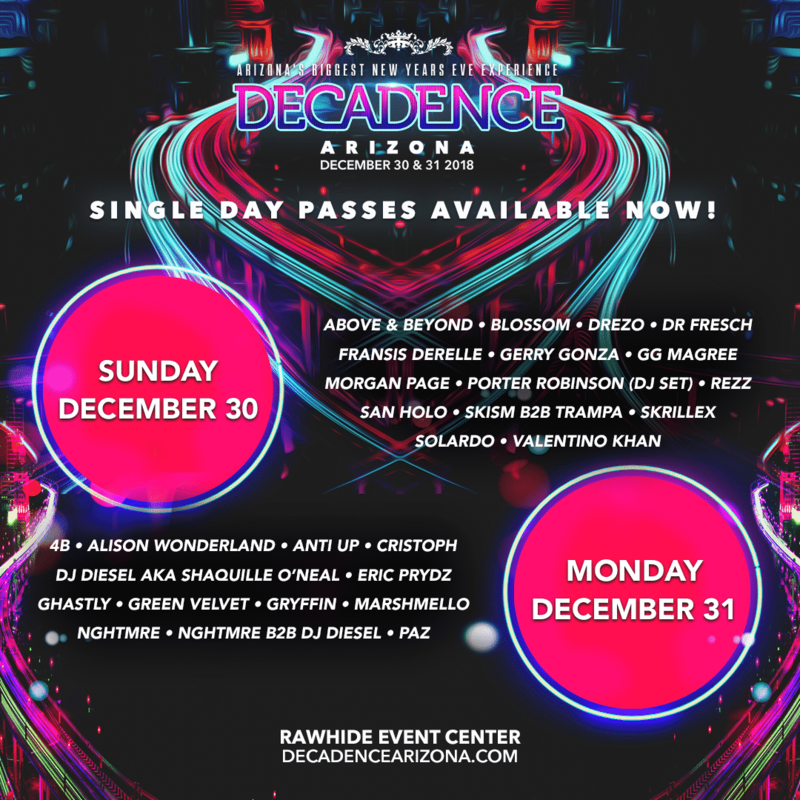 Phoenix, AZ (November 21, 2018) – As the rest of the country gears up to head into the holiday season, Relentless Beats has been busy at work putting the finishing touches on the monolith of a lineup at fifth annual Decadence AZ. Newly added artists include: Anti Up; Cristoph; GG Magree; Green Velvet; Griffin; Kidnap; Moon Boots; Paz and Valentino Khan, with still more to come. These artist join a solid foundation of talent which started with Skrillex; Porter Robinson (DJ set) and Eric Prydz and continued with 4B; Above & Beyond; Alison Wonderland; DJ Diesel; Drezo; Dr Fresch; Fransis Derelle; Gerry Gonza; Ghastly; Marshmello; Morgan Page; NGHTMRE; Rezz; San Holo Skism b2b Trampa and Solardo.